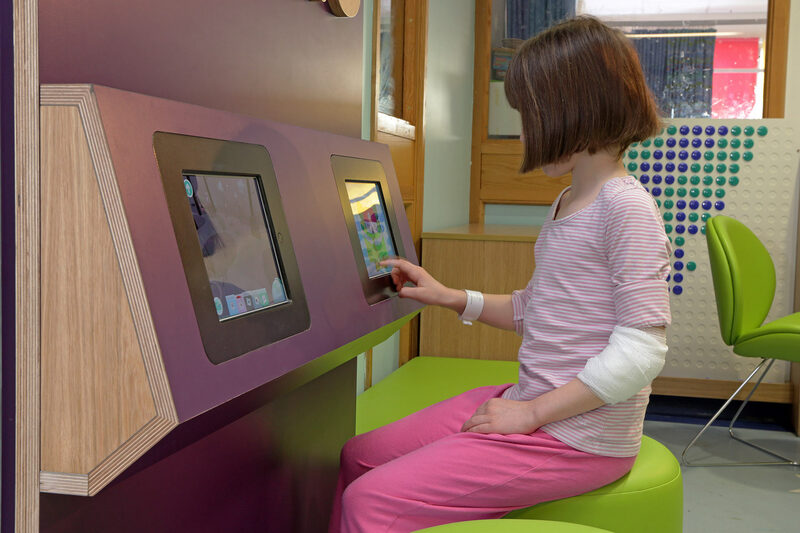 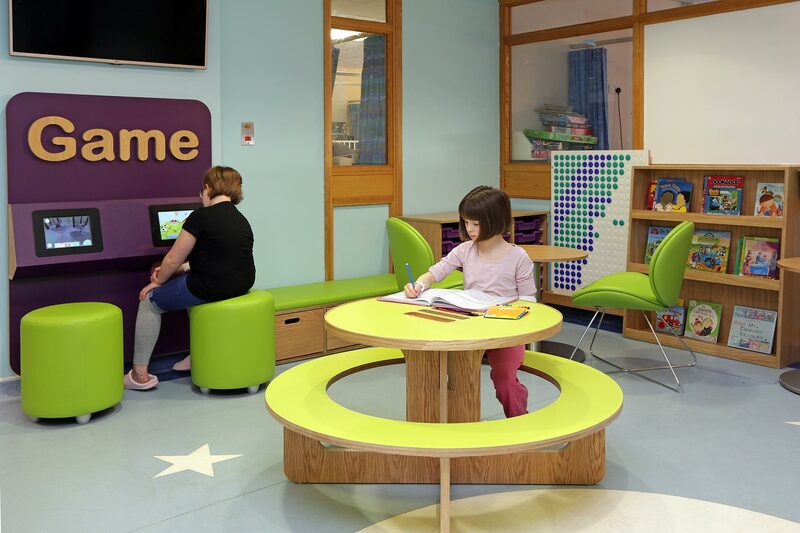 For the A&E assessment unit, our goal was to make the waiting experience better – more relaxing, more distracting for the children who are using it. 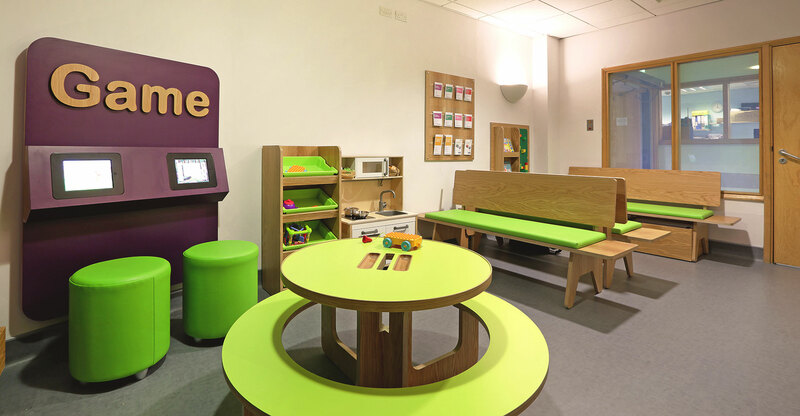 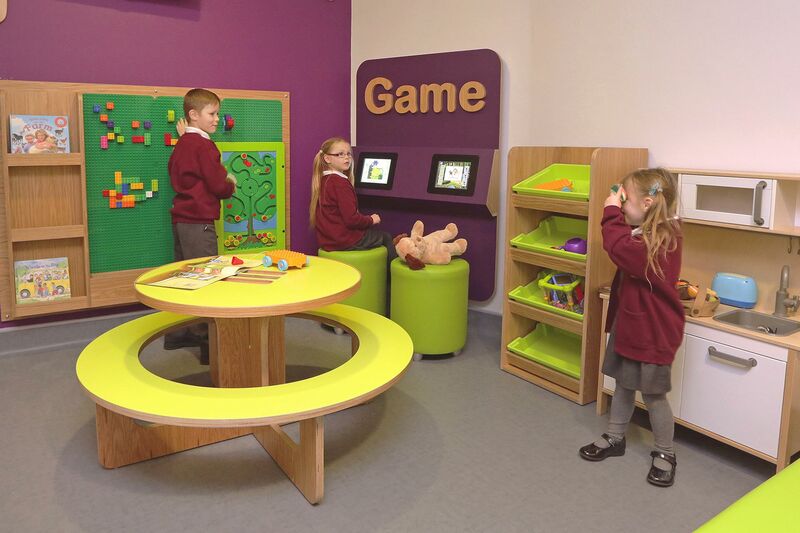 We added storage units to support the staff in tidying up, a creative table with paper and pen storage and a handy lip to stop wayward crayons escaping onto the floor, an interactive panel which housed two iPads preloaded with appropriate apps and new bespoke seating which allows family groups to sit together, soothe small children and even let them lie down. 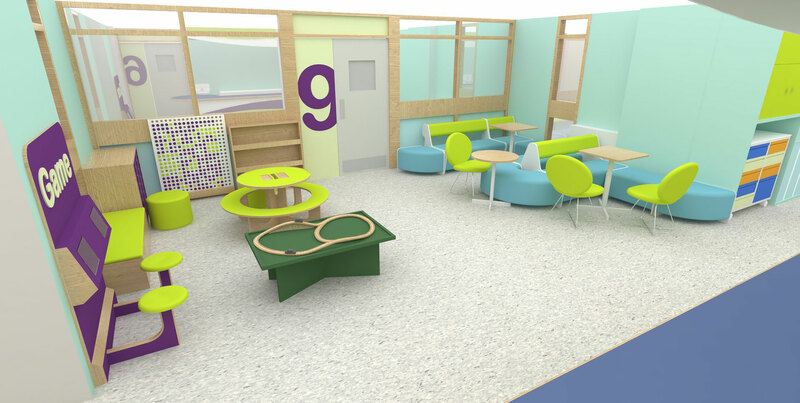 Level 10 Children’s ward contains a series of ward rooms and a central area that was being underutilised. 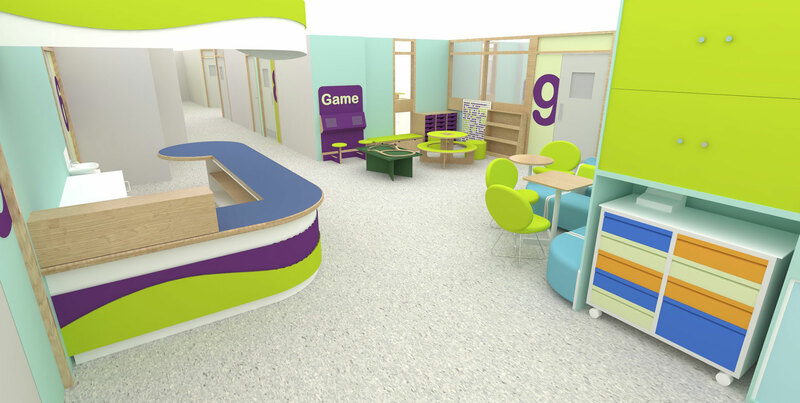 Our brief was, in part, to make the central area more enticing to encourage the children to move around and interact. 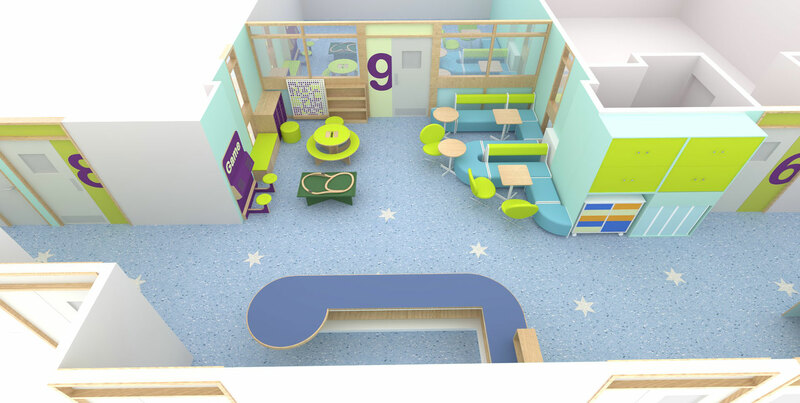 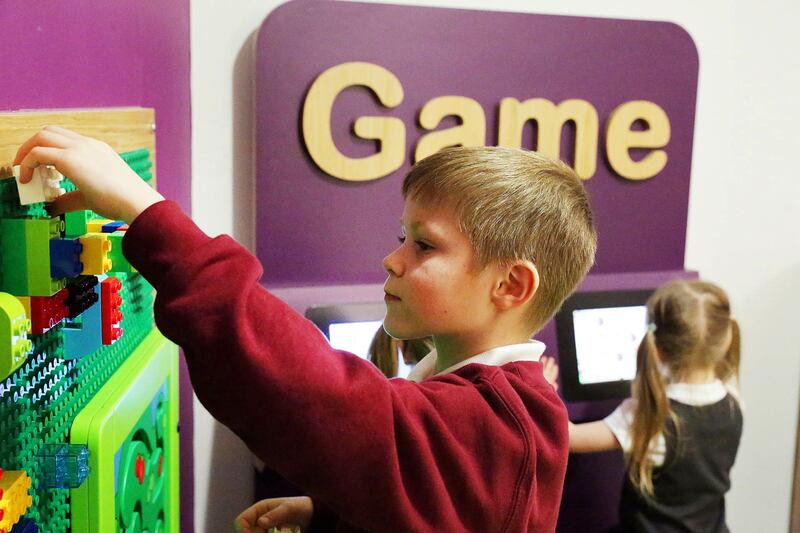 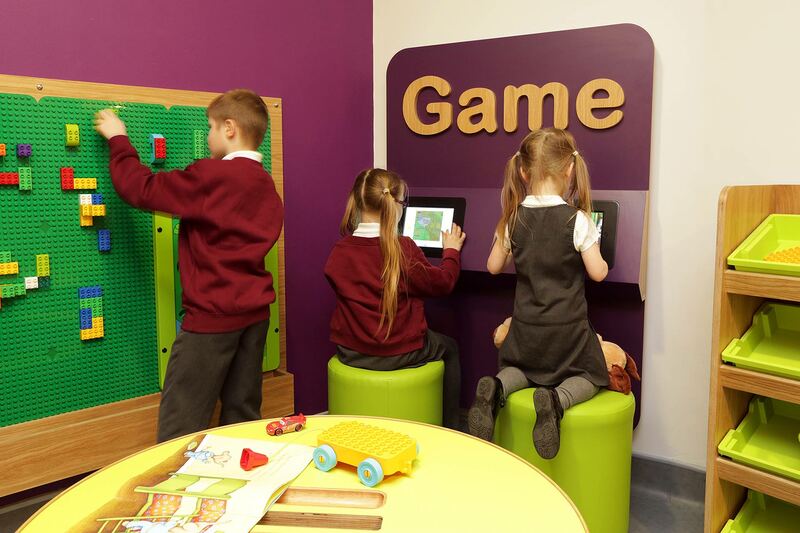 We added new informal seating arrangements that would be suitable for dining or creative activities, extra storage, a play area that included a wall interactive and fixed iPads. 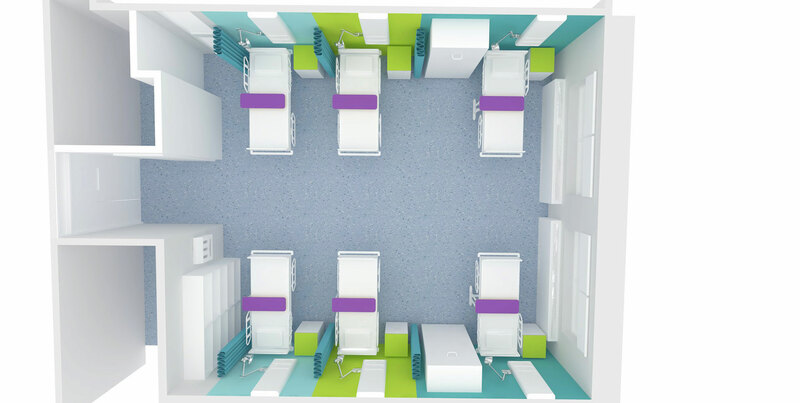 For the 6 bed ward design, we aimed to de-clutter the space and individualise each bay. 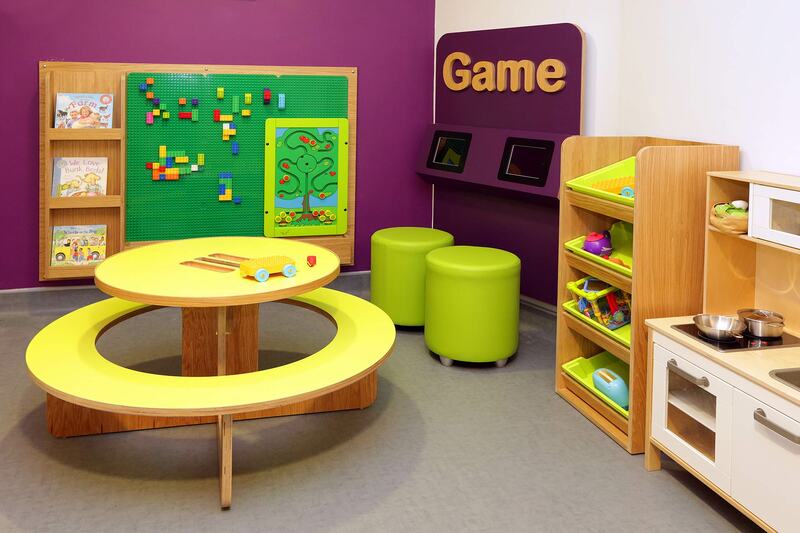 In both parts of this project, infection control and the physical safety of children were of high priority. 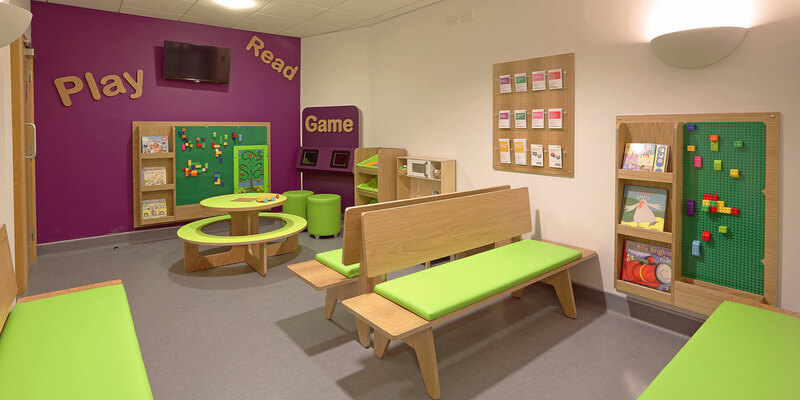 We also incorporated the hospital’s brand colour scheme into the design, to help with continuity throughout the whole hospital.